With FDA approval of the first in this new class of monoclonal antibodies for migraine prevention, a headache expert explains why these agents may be a game-changer for some but not all patients. Erenumab, the first medication in a new class of drugs — known as calcitonin gene-related peptide (CGRP) monoclonal antibodies — has been approved by the FDA for preventing migraines in adults. Consult QD sat down with Zubair Ahmed, MD, a neurologist with the Headache Section of Cleveland Clinic’s Center for Neurological Restoration, for a Q&A to discuss this new development. Q: Tell us about the CGRP monoclonal antibodies. What are they? A: This new class of drugs is the first specifically developed to prevent migraines, in contrast to the antiseizure, antidepressant and blood-pressure-lowering medications we’ve had to rely on until now. CGRP naturally occurs in the central and peripheral nervous systems and acts as a potent vasodilator. CGRP has several qualities that make it a promising target for migraine therapy: Levels increase during a migraine and fall when the attack resolves, and infusing it experimentally brings on a headache. The newly approved drug, erenumab (AimovigTM), is a monoclonal antibody that blocks CGRP receptors; other monoclonal antibodies in this class currently under investigation (eptinezumab, fremanezumab and galcanezumab) attack CGRP itself. Q: Is this new drug class a game-changer in migraine management? A: Yes and no. Erenumab was evaluated in three clinical trials, two involving patients with episodic migraine (< 15 headache days/month) and one in patients with chronic migraines (> 15 days/month). More than 2,000 patients were studied for up to six months of therapy. Overall, the drug was associated with a reduction of approximately 1 to 2 headache days a month relative to placebo. This level of efficacy is comparable to currently used migraine prevention therapies. But because the new drug is more specific to migraine, the side effect profile was much better. And drug interactions are less likely because the compound is a monoclonal antibody. Trials of the other drugs in this class are reporting similar findings, including studies of fremanezumab and galcanezumab recently published in JAMA and JAMA Neurology, respectively. Do these gains seem modest? 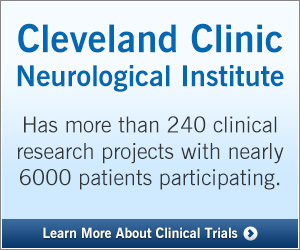 Cleveland Clinic was involved in some of these trials, and we saw firsthand what they can mean for individual patients. Some patients had a remarkable response, even achieving complete remission of headaches. The LIBERTY trial of erenumab enrolled patients who failed multiple other migraine prophylactic medications, and its preliminary results have been encouraging. So the new drugs can be a game-changer for some patients. Q: What should doctors know about prescribing erenumab? A: Erenumab is indicated for the preventive treatment of chronic or episodic migraine in adults. No contraindications are listed in its FDA-approved labeling. The recommended dosage is 70 mg once a month subcutaneously, although some patients may benefit from 140 mg (two 70-mg injections) given once a month. The agent’s autoinjection delivery system is easy for patients to use. This ease of delivery and long efficacy period make it a good option for patients who are prone to poor adherence with daily medications. There is not enough evidence yet to develop recommendations for erenumab’s use during pregnancy or by breastfeeding mothers. However, levels of CGRP are lower in women with preeclampsia than during a normal pregnancy, so there is a theoretical risk to using the drug in this setting. Q: Are there side effects to watch out for? A: In general, the side effects seen in clinical trials have been limited to a low incidence of injection-site reactions, constipation and upper respiratory tract infections. Keep in mind, however, that we do not yet have long-term data, and migraine sufferers often require decades of treatment. Three deaths occurred among clinical trial participants who received CGRP monoclonal antibodies: One was termed an “arteriosclerosis event” in an erenumab trial, and the others — one from suicide and one from COPD — were in a fremanezumab trial. These deaths were not attributed to treatment, but it remains to be seen if any trends emerge. Q: What about cost? The price tag is $575 per dose, or $6,900 per year. A: Yes, it’s high. With any new drug, cost is one of the biggest barriers. Drug companies are lobbying the major insurance companies to provide coverage, and hopefully that gets worked out. Q: Bottom line: How will you use this new drug in your practice? A: For patients doing well on current therapy, there is no reason to switch. Otherwise, if costs aren’t an obstacle, I intend to prescribe erenumab as a preventive drug for adults experiencing frequent migraines, except in (1) women who are pregnant or planning a pregnancy and (2) patients already taking a vasoconstrictive drug. It is an especially good option for patients who have “failed” other medications or have other conditions with potential interactions with existing migraine drugs.